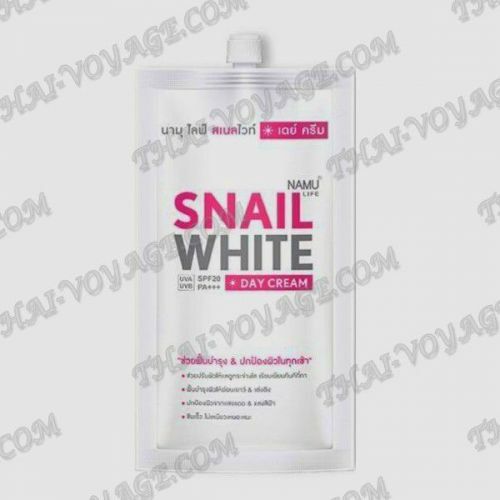 Namu Life Snail White day cream UVA-UVB SPF20 PA + + + Moisturizing snail face cream is a blend of plant extracts of soliberin from the flower of the butterfly Bush, which help prevent UV rays from the sun. The cream revitalizes the skin to make it look healthy, makes it radiant and smooth after use, protects the skin from UV rays. Application: apply the cream to the face after washing the face in the morning and evening.